French Socialist primary election : historic victory for universal basic income! Benoît Hamon, a vocal supporter of basic income, came out first (36%) in the first round of the socialist primary in France on Sunday. He now has a serious chance to become the final Socialist candidate for the presidential election. For Unconditional Basic Income Europe (UBIE) this is a good sign that this discussion is meaningful for the French electorate, just as it is gaining momentum in many other countries around Europe. “The eradication of poverty, a way to cope with the changes in work and what is at stake with the digital revolution: these are the main reasons why I want to implement a universal basic income,” explained Benoît Hamon to the French Movement for a Basic Income (MFRB). 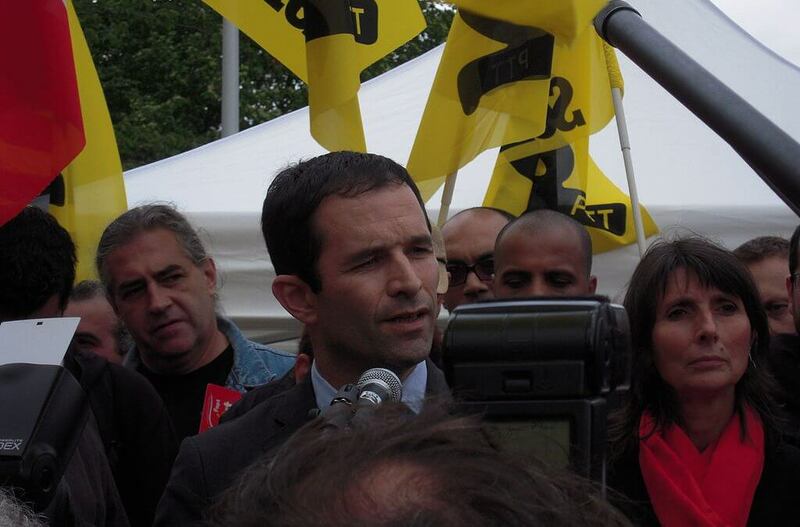 Hamon’s basic income proposal was one of the main topics debated in the media the days running up to the primary. His victory in the first round has placed basic income at the heart of the electoral debate, showing that this idea is a viable and necessary solution that raises hope in many French citizens. The MFRB rejoiced at the outcome of the vote: “This is a big win, not just for Hamon but also for the idea of basic income. It is a proof that hundreds of thousands of people in France want to place basic income on the top of the political agenda now. Hamon’s candidacy to the presidential election will ensure that this issue continues to be central to the national debate,” said Nicole Teke, Board Member of Unconditional Basic Income Europe and Public Relations Coordinator of the MFRB. The transnational activist network Unconditional Basic Income Europe also reacted positively to this result: “This is a historic moment in the evolution of the public debate on basic income. It is the first time in any major election in Europe that basic income is the issue that might actually make the difference. It surely won’t be the last. We will thus follow this election very closely,” said Dániel Fehér, Board Member of UBIE. The MFRB promotes basic income as a new pillar of the French social welfare system – beyond being an investment for the future, an answer to numerous economic and social issues, and a tool to further social justice. This vision is shared by the Green candidate Yannick Jadot, but also by Charlotte Marchandise, the citizens’ movement”s candidate, who have also placed UBI in the heart of their electoral programs.